The post war era brought little change to Bewdley although the North Signal Box had its upper portions raised bodily by one foot in 1954. By 1963, the railway had passed from British Rail’s Western Region to the Midland Region and was beginning to succumb to the decline of rural rail traffic. 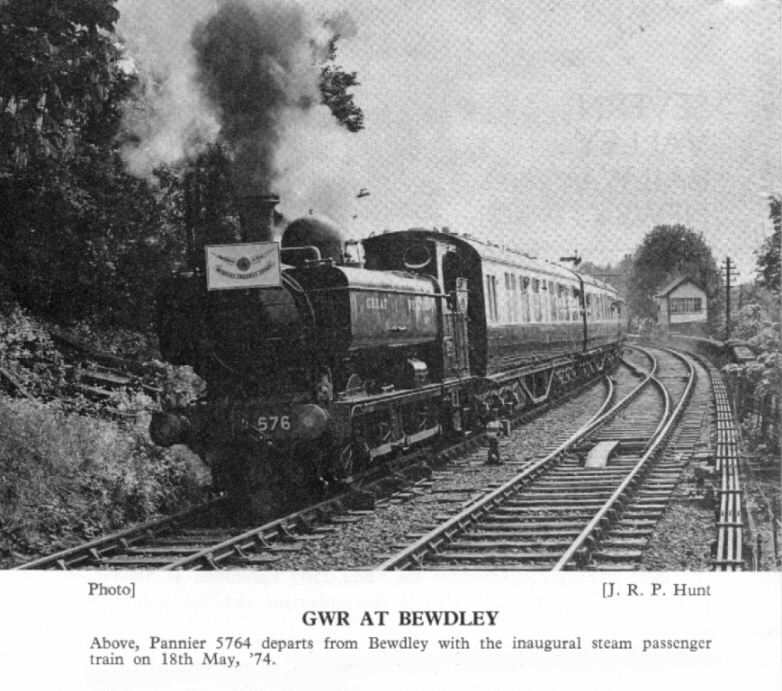 The first Bewdley passenger services to perish were those to Tenbury which ceased in August 1962 (Tenbury to Wooferton services having ceased the previous year). 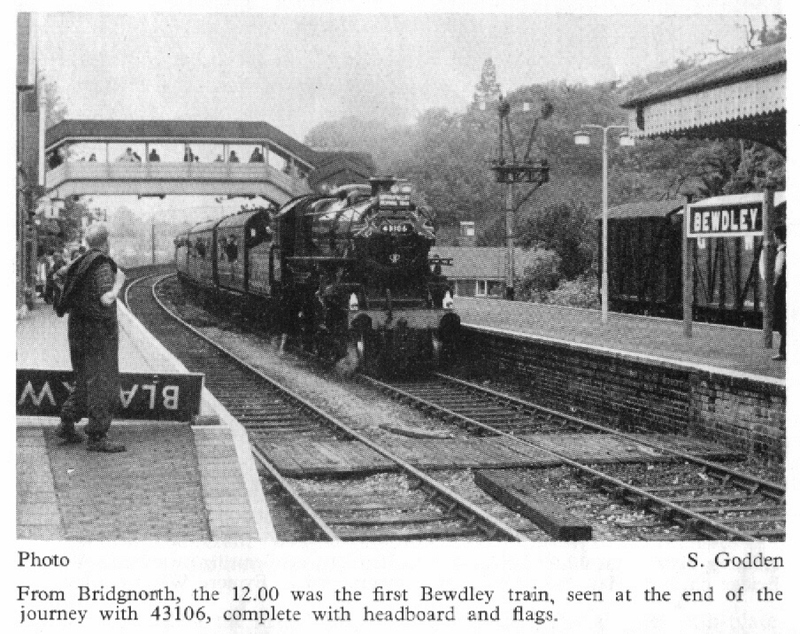 Meanwhile, in 1963, the Shrewsbury to Bewdley section was closed to passengers, leaving Bewdley rail connected with Stourport and Kidderminster. 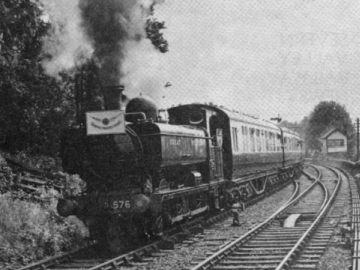 Freight traffic from the Ditton Priors Light railway which joined the Tenbury-Bewdley railway at Cleobury Mortimer helped delay the end for this line until 1965 and it was lifted shortly afterwards. The section between what is now Country Park Halt and Bewdley was used by coal trains from Alveley Colliery until 1969. 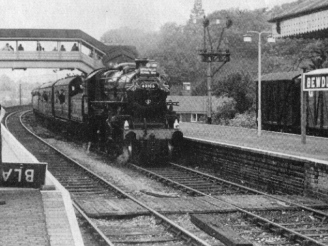 The loss of this traffic made the fate of Bewdley Station inevitable and despite local objections all traffic ceased on Saturday 3rd January 1970. However, by this stage the section of the SVR from Bridgnorth to Hampton Loade was already being run as a preserved railway and the closure of Bewdley was a great stimulus for this operation to extend southwards. 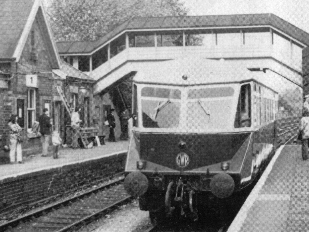 The society eventually purchased the route from Hampton Loade to just beyond Bewdley tunnel in 1971 and two years later moved the preserved lines headquarters to Bewdley. A few changes were made to the track layout at the north of the station prior to reopening, with the elimination of the now unnecessary crossover from Platform 3 to the former Tenbury line. The passing loop was also extended by moving the crossover to the north end of Wribbenhall Viaduct and this layout remains today. In 1998, a collection of brick outbuildings to the south of the station house was replaced with an extension of the company offices which had become cramped, and this has blended into the overall image of the station. On the 18th May 1974, the station reopened for business although it was not until that winter that the newly installed locomotive pit and water tanks were brought into operation to allow use of the rock siding as an engine ‘shed’ although the engines are not actually kept undercover here. 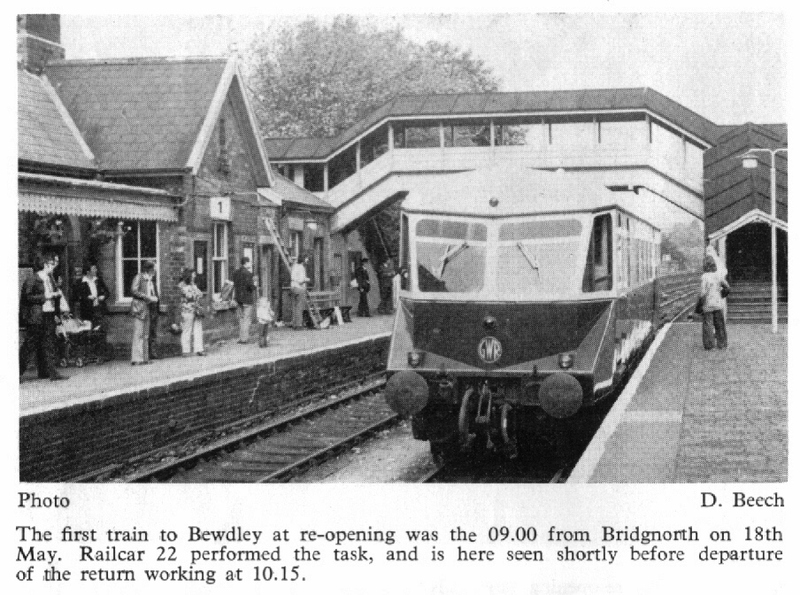 This brings the history of Bewdley station to the present day. However, history does not stand still, and small changes are still occurring. In 2002 the decaying enamel British Rail style lamps were removed (They had been installed post preservation since British Rail had installed modern lampposts immediately before closing the railway) and replaced by the more appropriate Windsor Pattern style. These help maintain the 1920s period feel of the station, and much hard work continues to maintain this image. Bewdley station, it seems, will continue to gradually evolve as it always has.